The Big Sit is a unique way to bird watch inside a 17-foot diameter circle from 6:00 am until Noon for as long as you want. 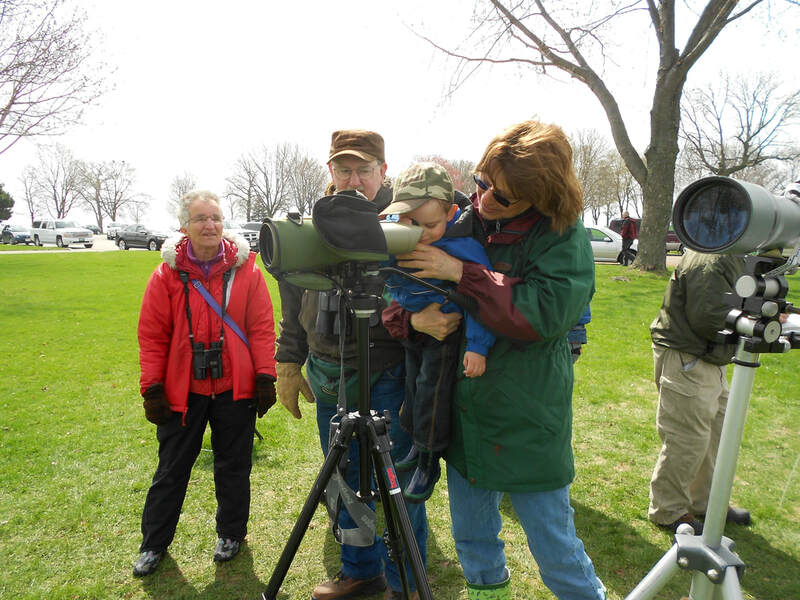 Bring a chair and enjoy watching, listening, counting and learning about birds that you see and hear. This is sometimes described as “a tailgate party for birders”. We will have spotting scopes set up and binoculars available to use. All levels of expertise are welcome. 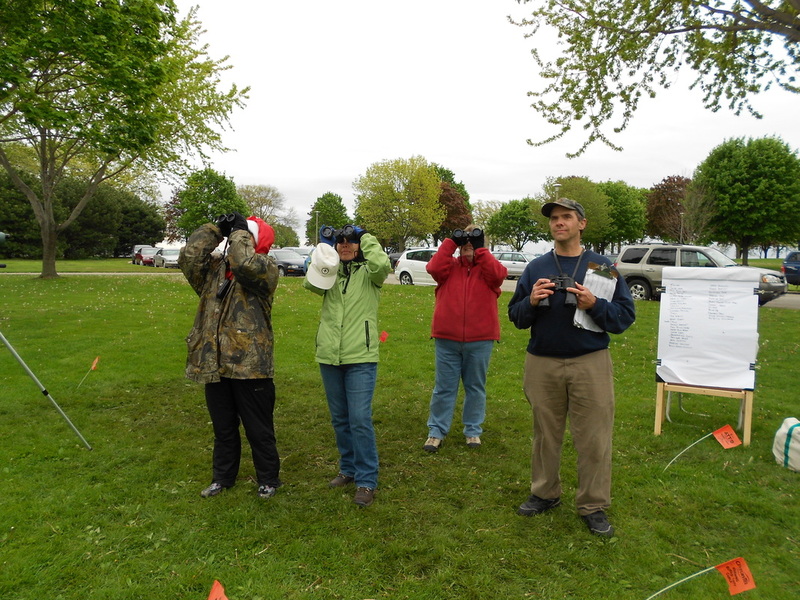 Anita Carpenter, avid birder and naturalist, will be there all morning to answer questions and help identify birds. The birds are listed in the order seen. In 2013 there were two circles. Anita Carpenter headed up the Big Sit situated to the east of Shelter #1 and closer to the lake. The second Big Sit was manned by Tom Ziebell, another excellent birder, and located to the west of the Shelter offering a view of Miller's Bay and with shorter trees. Last year's count was 70 bird species while the 2013 count was just shy of that at 66.